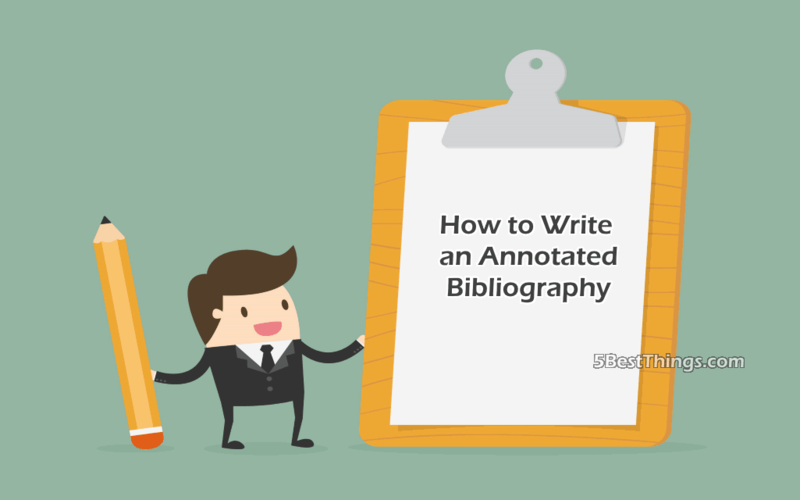 Writing an annotated bibliography is a common task for college and university students and many young people consider this assignment too time-consuming and dull. But if you organize the writing process in a proper way, you will easily cope with this type of academic paper that is sure to contribute to the development of your research and critical thinking skills. In this article, you will find a quick easy guide to writing an annotated bibliography and some useful tips from professional writers of essayforever.com. The bibliography is a list of sources that can be usually found at the end of any project. It can include books, articles from journals, websites, newspapers, magazines, and other sources that were used for citing, paraphrasing, etc. Each listed source is called a citation and includes information about the author, title, publisher, publishing year, etc. Citations are necessary to give tribute to people whose ideas you have used in your work and to provide information for other people so that they can find these sources themselves. An annotated bibliography is a list of sources that gives a brief summary and/or evaluation of each source. Depending on the assignment given by your instructor, your task may be to summarize, reflect, critique, analyze or evaluate the source. An annotated bibliography may be a part of a larger project or you can write it as a stand-alone assignment. Generally, the purpose of an annotated bibliography is to inform the reader about relevance, accuracy, and quality of sources included in the list. When doing this task, you will find out what material is available on your topic and get acquainted with it. Annotated bibliographies are usually brief – about 100 to 200 words. All citations should be listed in the alphabetical order and you should write in full sentences and use academic vocabulary. When creating an annotated bibliography, you have to apply a variety of intellectual skills such as your abilities to give a concise exposition and succinct analysis and advanced research skills to do informed library research. First, you have to find and make a record of citations to books, documents, online sources, and periodicals that may contain helpful information or interesting ideas on your topic. Then, examine and review each item to choose works that give a variety of perspectives on the topic of your research. Next, cite the source you have chosen in the appropriate citation style. And finally, write a concise annotation for each source that summarizes and analyzes its content. The length of your annotation will depend on the purpose and may vary significantly. If your task is to give a summary, the length of your annotation may be just a couple of sentences. But if you need to provide an extensive analysis of each source, you may require more space up to a couple of pages.